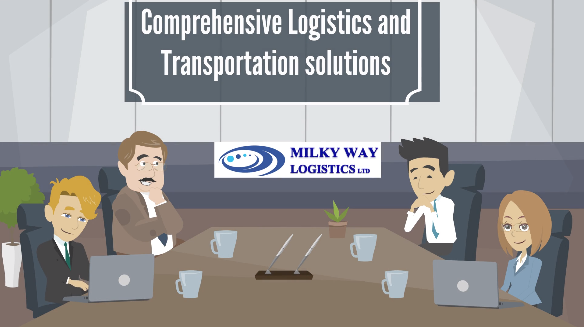 Milky Way Logistics is a London based freight forwarder which is providing professional tailor-made sea freight services from London to Qatar. Sea Freight as its name says is transportation of any goods by ships and containers via the oceans and seas. This mode of transport is the recommended mode for larger quantities of goods and longer distances. The concept of containerisation has changed the sea freight service for ever. It was initially introduced to facilitate the packing of goods and make storage and shipping easier. As it grew, the standard size containers have been announced and the container shipping shaped as it is known today. There are difference standard sized containers that are know world wide and no matter where you are using containers, they mean the same elsewhere worldwide. The above two sizes are the industry’s most popular sizes and nowadays the capacity of ships and size of goods are measured by these standard sizes. Practicing sea freight from London to Qatar needs special expertise that is offered at one place by Milky Way Logistics. The goods could be collected from your door and delivered through to destination by sea freight. The empty container will be hauled from the container yard to your facility which could be shipper’s warehouse where the goods will be stuffed into the container and the filled container will be returned to container yard at port for formalities towards its journey. Upon completion of formalities at port which is including weighing, custom formalities, security control, sealing etc, filled cleared containers will be loaded to the ship and sail to destination directly or through a transhipment intermediary port. For sea freights from London to Qatar which is mainly to Hamad port there are weekly services from London Gateway port as well as Felixstowe and Southampton from various major shipping lines. For quotations and other information about details of sea freight from London to Qatar, please contact Milky Way Logistics at enquiries@mwll.co.uk and a member of staff will be contacting you instantly.